The students should consider themselves lucky to have Kavanaugh as a visiting professor to teach a course on the origins of the US Constitution this summer. “It is a rare opportunity for students to learn from a Supreme Court justice and we believe that contributes to making our law program uniquely valuable for our students,” the school said in a statement last month. But some college liberals in a student-led group called “Mason For Survivors” are trying to rob fellow students of the unique opportunity to learn from one of the most influential judges in the world. They oppose Kavanaugh’s teaching position because of the discredited sexual assault allegations that were made against the judge during his confirmation process. “As a survivor — as a student who comes to this university and expects to have a good education — to experience a happy, safe place, I am insulted,” GMU student Elijah Nichols told WDVM-TV. The student group also resorted to vandalizing the campus statue of Founding Father George Mason to protest Kavanaugh’s teaching position. Anybody who is familiar with the details about the allegations against Kavanaugh would know that this protest is absolutely ridiculous. The most prominent Kavanaugh accuser was California professor Christine Blasey Ford, who claimed Kavanaugh forced himself on her at a teen party sometime in the early 1980s. However, Ford didn’t come forward with her accusation until decades later. The first instance of Ford talking about such an assault was during a therapy session in 2012, but the therapy notes don’t mention Kavanaugh by name. Furthermore, Ford was inconsistent with key details, such as what year the alleged assault happened, who drove her to the party, who was at the party and how she got home. And the most damning piece of information against Ford’s accusation is that all of Ford’s so-called witnesses have either denied the allegations outright or were unable to support them. And the country should never forget Kavanaugh’s other accusers, whose stories had even less credibility than Blasey Ford’s. 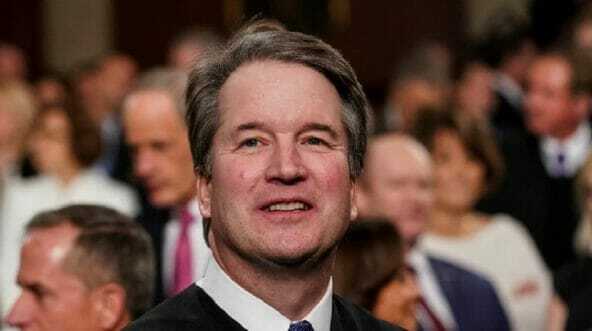 Additionally, Kavanaugh has coached girl’s basketball for years without any incidents and, until the confirmation hearings, had a reputation that was unblemished. And Kavanaugh’s record as a father and family man speaks for itself. It’s absolutely ridiculous to imply that Kavanaugh is not “safe,” and yet college liberals are foolishly trying to rob their fellow students of a once-in-a-lifetime opportunity.